Having ignored it, India is getting serious about defending its North East frontlines. The Indian Army is all set to raise a Brahmos missile regiment there at the cost of Rs 4,300 crores. The regiment will be made up of 100 missiles and five autonomous launchers mounted on 12×12 heavy duty trucks. The Block III missiles being deployed are the latest generation of the Brahmos with “trajectory manoeuvre and steep-dive capabilities”. The 290 km range brings a lot of Chinese tactical bases in Tibet within range. Since the Brahmos’ destructive capability is well known, China is obviously nervous. 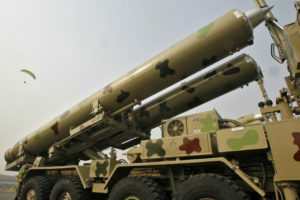 Now People Liberation Army, through a newspaper has said that “India deploying supersonic missiles on the border has exceeded its own needs for self-defense and poses a serious threat to China’s Tibet and Yunnan provinces”. Indiatimes Frontlines was recently in Arunachal Pradesh and visited the Bumla Pass close to Tawang, which China claims. We saw huge army presence in the area and the terrain posed a challenge. The rugged mountain side needs to be heavily defended and the near vertical steep dive capability of the Brahmos can even flush out the enemy hiding out of sight. No wonder the Chinese are nervous.